Over 100 tested and proven marketing campaigns that you can take, edit and use in your practice immediately! What is a swipe file? A swipe file is a collection of tested and proven postcards, promotions, sales letters and other marketing pieces that you can keep and use as reference ideas for your own projects! 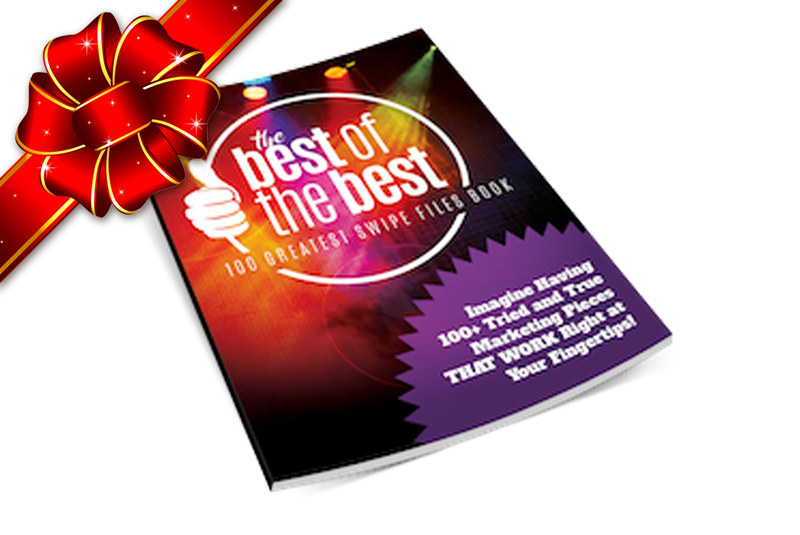 The 100 Greatest Swipe Files Book was created by Scheduling Institute Members who submitted their HIGHEST results-producing marketing campaigns. Over 300 offices submitted and the best of the best were chosen to be featured in this book. All swipe files include the idea, strategy, image of marketing pieces, how it was implemented AND the proven results. Imagine the time you will save and the results you will achieve by getting your hands on over 100 of the greatest ever marketing pieces, specifically for private practices.